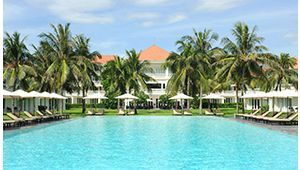 The beaches in Vietnam have long been one of South-East Asia’s best-kept secrets. With 1000’s of kilometres of coastline, Vietnam is full of infinite stretches of magnificent beaches. 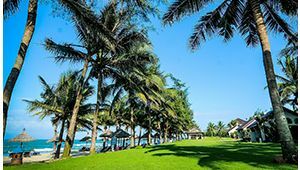 ... Read more The ideal destination for explorers and beachgoers, the Vietnam coastline offers travellers the perfect places to explore the country’s rich heritage, natural wonders and one of the oldest Southeast Asian cultures. 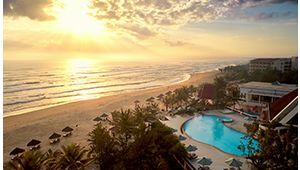 DaNang Beach once a warzone during the Second World War it is now a tranquil stretch of soft white sand and crystal clear water. Beginning at Monkey Mountain, DaNang Beach stretches past Marble Mountain, all the way to the coastal town of Hoi An. A UNESCO World Heritage site is known for its well-preserved Ancient Town and characterised by its unique blend of Vietnamese, Chinese, Japanese and French Colonial architecture and commonly referred to as the Venice of Vietnam. 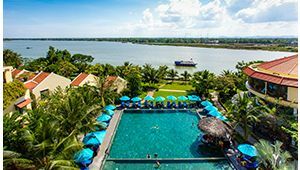 Just four kilometres from the white sandy beaches, Hoi An offer travellers the perfect base to explore the local area and discover the idyllic beaches of My Khe, My An, Non-Nuoc, and Cua Da, each making up smaller pockets along the vast stretch of sand that is DaNang Beach.